Created to meet the expectations of leading designers and discerning consumers who seek the best in design, The Alustra® Collection from Hunter Douglas is a thoughtfully curated collection of sophisticated window treatments offering exclusive design inspired fabrics, textures, colors and hardware finishes. From luminous sheers to stylish textures and decorative details, the design-forward focus of the collection offers personalized, customized fashion that makes it easy to turn your unique style into premium window coverings. Fabrics are sourced from around the world to create a truly special window treatment. This collection of textiles is available on some of the best loved window treatment lines from Hunter Douglas, including SILHOUETTE® Window Shadings with S-Vane™, PIROUETTE® Soft Fabric Window Shadings, DUETTE® ARCHTELLA® Cellular Honeycomb Shades, VIGNETTE® Modern Roman Shades, and the WOVEN TEXTURES window treatments — a naturally inspired textile collection that can be used on Roman Shades, Roller Shades and SkyLine® Gliding Window Panels. Alustra® Woven Textures® is a collecion of unique textiles that are available for Roller Shades, Roman Shades and Skyline® Gliding Window Panels. 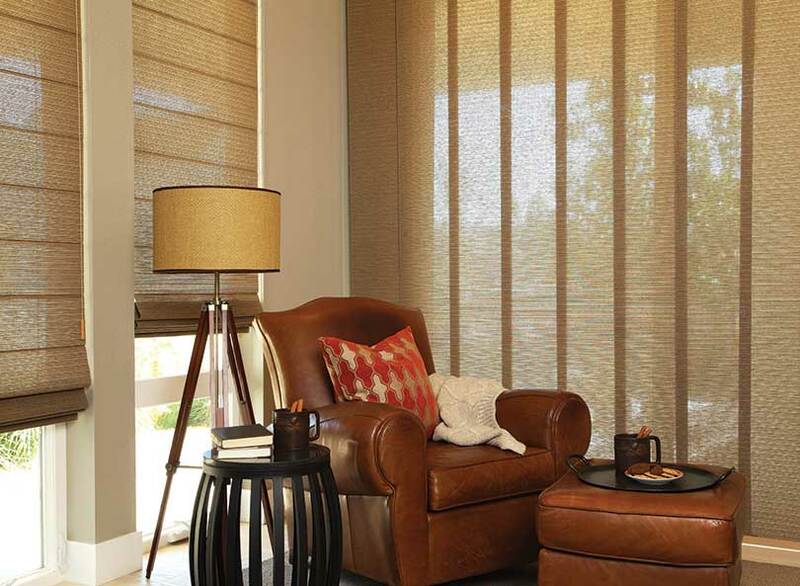 As an innovative alternative to woven woods and solar screens, Alustra® Woven Textures® window treatments artfully blend unique fibers and sophisticated design to create a luxe collection of distinctive, light-filtering fabrics. From distinct metallic accents to organic weaves, every element in this collection is inspired by design. 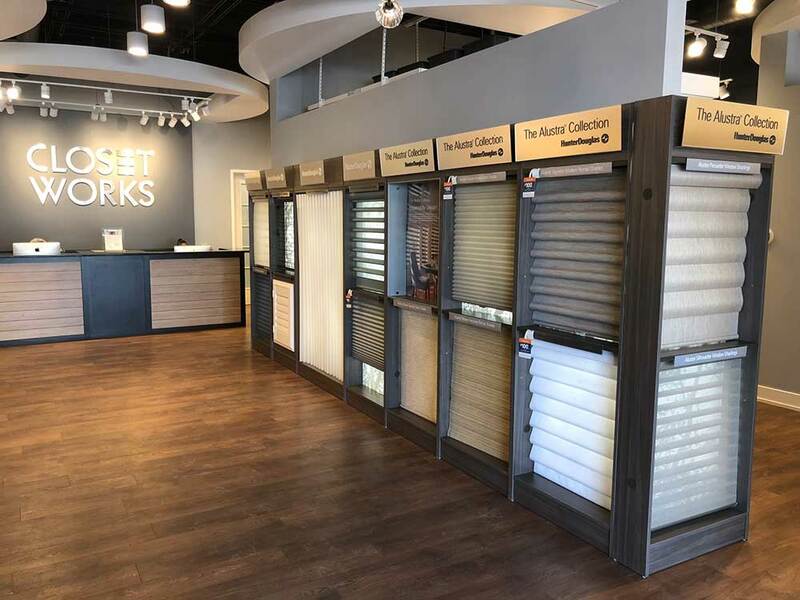 Because Alustra® Woven Textures® can be made into so many types of window treatments, they are ideal for spaces that contain several different styles of windows requiring a variety of window dressings. The dramatic yet cohesive result makes a statement not only on the windows they dress, but throughout the rooms and homes they enrich and elevate. Operating systems: PowerView®, UltraGlide®, LiteRise®, Continuous Cord Loop, Cordless. Operating systems: PowerView®, UltraGlide®, EasyRise™, Standard Cordlock. Operating systems: PowerView®, Wand Control, Continuous Cord Loop. Roman Shades and Skyline® Gliding Window Panels used together in the same Woven Textures® fabric from The Alustra® Collection. Drawing inspiration from design trends and natural woven artistry, The Alustra® Collection of Woven Textures® includes a thoughtfully curated assortment of design-forward fabrics that infuse rooms with a soft yet structured beauty. Like the lustrous silk of a smartly cut blouse or the nubbly tweed of a classic chair, the texture and feel of these striking materials add depth and interest to Roman shades, roller shades and Skyline® Gliding Window Panels. See your designer for complete textile samples. A study in stunning duality, The Alustra® Collection of Duette® Architella® honeycomb shades balance remarkable performance with superb style. The innovative construction nests one honeycomb fabric cell within another, delivering exceptional energy efficiency in all seasons for all types of windows and doors. Available operating systems include: PowerView®, LiteRise®, UltraGlide®, Vertiglide™, Top-Down/Bottom-Up, Duolite™, SkyLift™. The Alustra® Collection of Duette® Architella® features an insulating honeycomb design in addition to unique fabrics and materials to enhance your home. The Alustra® Collection of Duette® Architella® is offered in an array of distinctive textiles from metallics to organic materials and textures — and personalized in your choice of premium fabric, color and pleat size. See your designer for samples. The Alustra® Collection of Vignette® Modern Roman Shades provides unfolding layers of curated textiles with opulent textures and sophisticated colors. Layering textiles has long been associated with windows as it is the key for energy efficiency, privacy and beauty. The modern interpretation of this timeless classic reinvents this traditional form with up-to-date technology to create a luxurious interior that is right for today. Available operating systems include: PowerView®, LiteRise®, UltraGlide®, EasyRise™, Top Down/Bottom Up, Vertiglide™, Duolite®. Select from The Alustra® Collection of colors, textures and sensuous fabrics that add rich, dramatic warmth and accent a room with color and design, enhancing the comfort of a home while creating a focal point. See your designer for color and fabric samples. 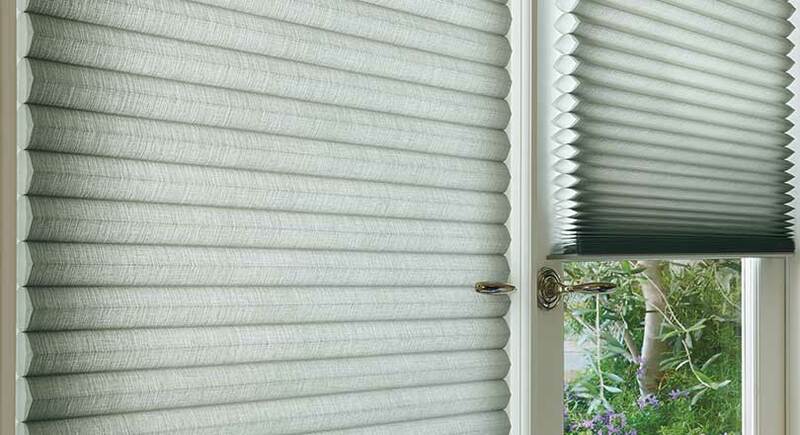 The beauty of Alustra® Pirouette® window shadings extends well beyond the windows. It beautifully complements the unique inspirations and stories that express the spirit and soul of a home. Alustra® Pirouette® merges unprecedented light control, luxurious textiles embodied with texture and sheen, with the superior functionality of a Hunter Douglas premium window treatment. Available operating systems include: PowerView®, UltraGlide®, EasyRise™. This collection is available in a premium assortment of sensuous colors, textures and fabrics that combine high fashion with high function. See your designer for color and fabric samples. 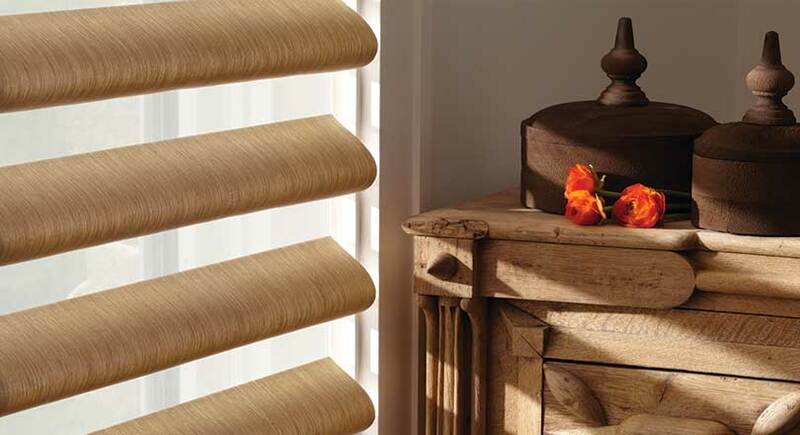 The Alustra® Silhouette® Privacy Window Shading with the signature S-Vane™ help shape ambient light and shadow, offering a surprising combination of light-diffusing textured sheers and light-controlling soft fabric vanes that enhance the ambiance of a home. In an understated ethereal way, they bring an organic textural quality that is naturally illuminating — quietly signifying style and subtle sophistication. Available operating systems for Silhouette® include: PowerView®, LiteRise®, UltraGlide®, EasyRise™, A Deux™, Duolite™. 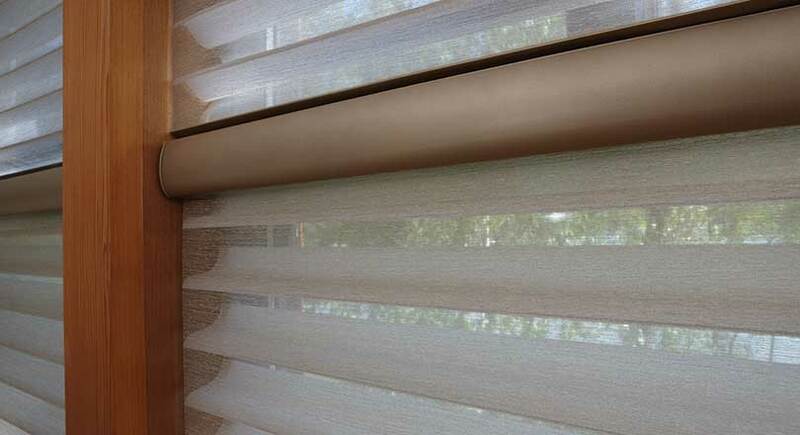 The distinctive Alustra® Silhouette® Privacy Window Shading with the signature S-Vane™. 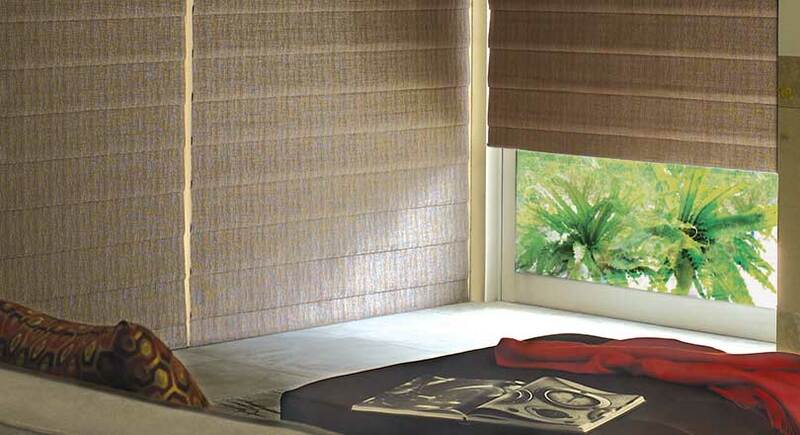 Enjoy the premium collection of Alustra® textiles on your windows while enhancing your privacy. Silhouette® will also protect your floors and furniture from UV damage while magically transforming light into an evolving art that elevates any room with a refined aesthetic. See your designer for color and fabric samples.